Award-winning original fiction for learners of English. At seven levels, from Starter to Advanced, this impressive selection of carefully graded readers offers exciting reading for every student's capabilities. A tragic love story is uncovered as journalist Clare Crowe goes to Switzerland to bring home a relative's body. Clare's grandfather has been found frozen in a glacier, 74 years after a climbing accident. 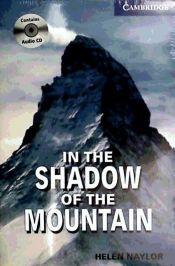 Clare knows this could make an interesting story for her newspaper, but as she investigates her grandfather's last climb, she learns that the accident wasn't as simple as she had first thought. Paperback-only version. Also available with Audio CDs including complete text recordings from the book. 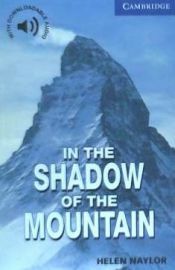 El autor de In the Shadow of the Mountain, con isbn 978-0-521-77551-9, es Helen Naylor, esta publicación tiene noventa y seis páginas.